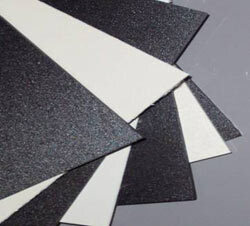 TECAPEEK® GF30 is Ensinger's 30% glass fiber reinforced TECAPEEK product. It offers enhanced mechanical and thermal properties over those of our basic TECAPEEK offering. It also offers excellent resistance in harsh chemical environments and is electrically insulative. TECAPEEK™ GF30 is insoluble in all common solvents. TECAPEEK™ GF30 exhibits superior resistance to high doses of gamma radiation. TECAPEEK™ GF30 has an excellent resistance to hydrolysis in boiling water and superheated steam (sterilization/autoclavability) at temperatures in excess of 250°C (482°F).